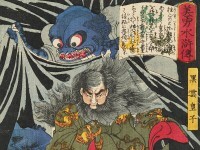 This print depicts an episode from a famous Japanese ghost story, the Tale of Oiwa. 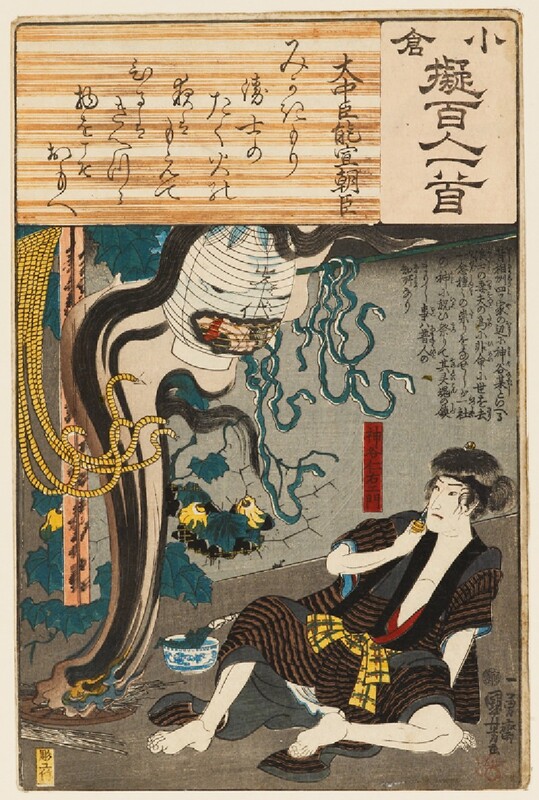 Oiwa is a young woman who is poisoned by her husband. After an agonizing death, her spirit returns to haunt him. 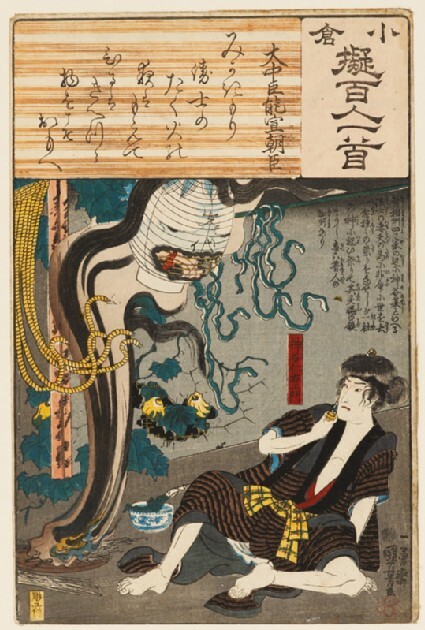 Here he recoils in horror as Oiwa’s deformed face emerges from a lantern. This print series shows various legendary and historical subjects associated with verses from a famous poetic anthology. The poem transcribed here is a love poem by the tenth-century courtier Ōnakatomi no Yoshinobu.